This is a beautiful "detached" two-bedroom condo. 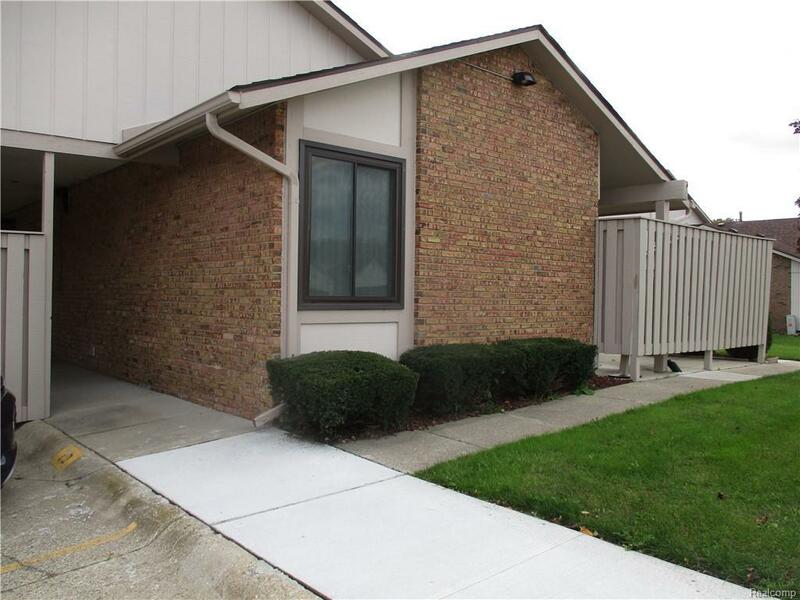 This unit is extremely clean with newer carpet in the dining and living room and has an updated bathroom. The kitchen appliances are included and the condo has a finished basement with a wet bar and full updated bath. The condo is not only detached but located in a desirable location near a retention pond that is being constructed in a neighboring development. The unit also has a newer patio with a privacy fence and is perfect for that special person looking for a well maintained unit in a quiet area where there are many amenities close by the development. IDX provided courtesy of Realcomp II Ltd., via Sandora & Fiteny Real Estate and Realcomp, ©2019 Realcomp II Ltd. Shareholders.